My Mom came home from the hospital on Saturday. She remains very weak and confused. We want to do our best to keep her mentally stimulated, so yesterday we did something she has wanted to do for a long time. We all went on a train ride to Paradise! Well, before you consider me some type of religious nut let me explain. 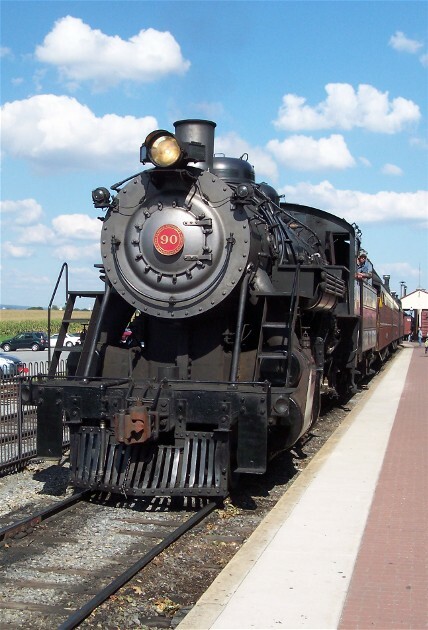 The Strasburg Railroad is a historic rail line that has now been converted into a tourist attraction, with a train powered by a restored steam engine. It travels through the beautiful Amish countryside in eastern Lancaster County from Strasburg to Paradise, PA. As the train departs the conductor calls out, "All aboard for Paradise." Throughout the short trip a narrator makes colorful comments regarding the history of the area and the railroad. When we arrived at the end of the line he announced the station "Paradise", (and he paused) "Pennsylvania that is, which is the closest to the real Paradise some of us will ever get to." Our Lord's words in our daily Scripture ought to be scrolled deeply on our hearts and minds. Jesus very pointedly asks a rather simple question. He doesn't answer it, for the answer is obvious. Many are seeking to gain the world, giving no attention to their soul. Sadly, many who are reckoned as so successful by this world's standards ignore their soul to their eternal damnation. All they attained on this side, whether wealth or fame, are a pittance in the eternal perspective. Comparatively it means nothing to "gain the whole world" and yet forfeit your soul. I recall the old spiritual that declares "this train is bound for glory." Let us all keep this eternal perspective before us as we consider that we are indeed bound for the true paradise of God, which is glory! 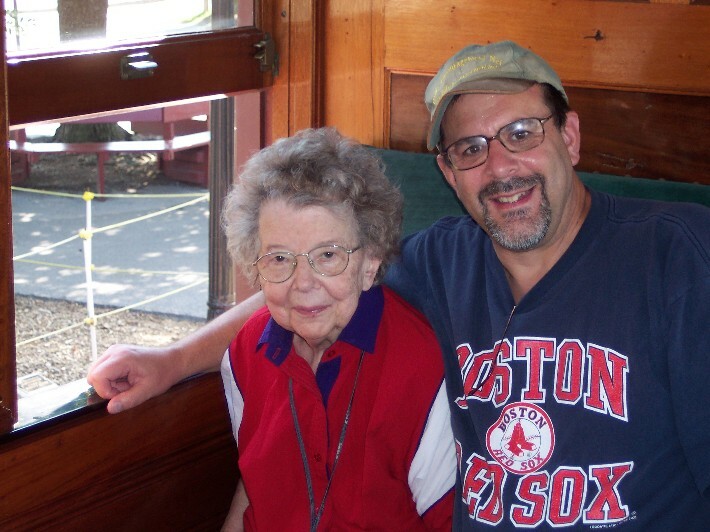 It was quite an effort to get Mom out and on the train (she is now using a wheelchair) but she sure had a good time. We talked about when she went on a train as a child from her tiny town of Harwood, Missouri to the County Seat in Nevada. She specifically remembers using an indoor toilet as a teenager for the first time in her life at the Vernon Court House! I sure rememebr using the outhouse at my grandparents small home, although by that time (60's) they did have indoor plumbing. The steam engine of the Strasburg train! Amish harvesting hay along the rail line. Update on Mom: (This will be the last regular update on my Mom's condition in this series unless something changes significantly.) As mentioned in the encouragement message she was discharged from the hospital on Saturday and is now back home with us. This morning Brooksyne took her for a follow-up doctor's appointment and she will have therapists and home health aids initially assisting her (and us!). We hope to keep her in our home as long as possible. We are examining longer term assistance since we can no longer leave her alone at all. She is very weak and confused but we certainly hope she regains her strength and is less confused. I sure have received a number of very thoughtful comments from readers on this matter and I sure appreciate that. I also hope our experience may offer a perspective to others going through this with an elderly parent. For railroad buffs here's the website to the railroad we rode on yesterday. If you have childhood interest in trains as I have you'll like this and can actually click a on a link for train sounds, which just make me smile from ear to ear! Yes indeed, there really is a town called Paradise.